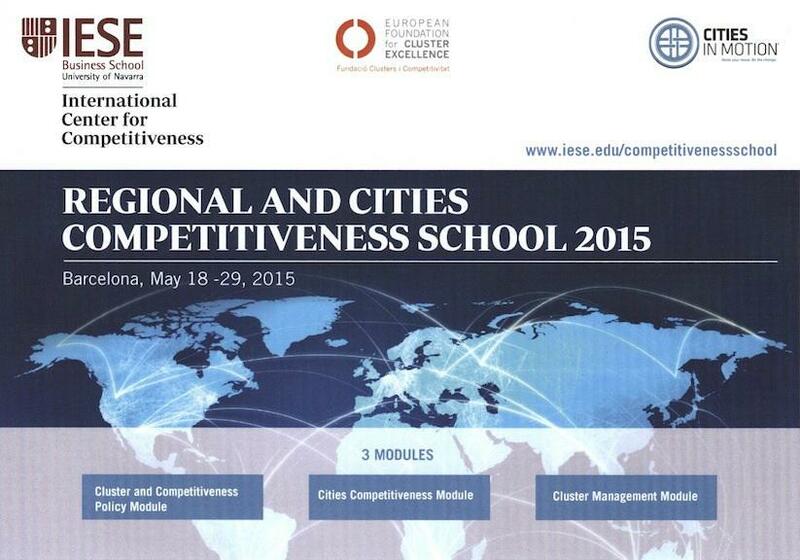 The known Clusters Summer School returns to Europe in May, co-organized by the European Foundation for Cluster Excellence and IESE Business School, under the name of Regional and City Competitiveness School. Both entities have joint their expertize in cluster based economic development and competitiveness, to design an even stronger program by incorporating a city perspective. The Clusters Summer School is designed to be an enriching experience in which diverse individuals from different countries and different areas of competitiveness and clusters-related fields have the opportunity to come together and learn from the faculty members and each other. Participants will benefit from a deep understanding of clusters and cluster initiatives, and their application in economic development and competitiveness policies. This edition will also be possible to learn about smart governance and economic development in the city, in terms of urban, strategic planning or attracting talent and investment. This programme gives an in-depth overview of the core principles, methodology and strategies delivered during the longer training programmes of the European Foundation for Cluster Excellence, on cluster initiative development and cluster policy. It is an extremely insightful workshop likely to enable senior stakeholders to reflect on the pertinence for their teams and colleagues to enrol in the full course. With contributions from the Foundation's faculty as well as IESE Business School professors, the programme is broken down into three inter-related but independent modules that are scheduled to take place from the 18th to the 29th of May 2015. The three modules for the 2015 programme are: The Cluster Policy Module (18 - 20 May), the City Competitiveness Module (21 - 25 May) and the Cluster Management Module (26 -29 May). Participants may apply to attend one module, two, or all three. In terms of location, it could not be more perfect as the Summer School will operate from the IESE Business School's facilities in the beautiful and vibrant city of Barcelona.